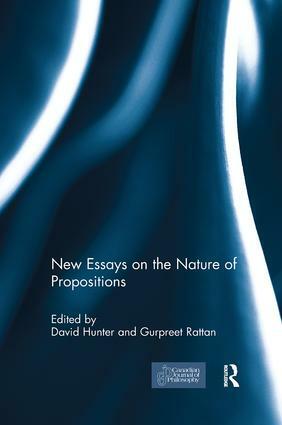 These are exciting times for philosophical theorizing about propositions, with the last 15 years seeing the development of new approaches and the emergence of new theorists. Propositions have been invoked to explain thought and cognition, the nature and attribution of mental states, language and communication, and in philosophical treatments of truth, necessity and possibility. According to Frege and Russell, and their followers, propositions are structured mind- and language-independent abstract objects which have essential and intrinsic truth-conditions. Some recent theorizing doubts whether propositions really exist and, if they do, asks how we can grasp, entertain and know them? But most of the doubt concerns whether the abstract approach to propositions can really explain them. Are propositions really structured, and if so where does their structure come from? How does this structure form a unity, and does it need to? Are the representational and structural properties of propositions really independent of those of thinking and language? What does it mean to say that an object occurs in or is a constituent of a proposition? The volume takes up these and other questions, both as they apply to the abstract object approach and also to the more recently developed approaches. While the volume as a whole does not definitively and unequivocally reject the abstract objection approach, for the most part, the papers explore new critical and constructive directions. This book was originally published as a special issue of the Canadian Journal of Philosophy. David Hunter is Associate Professor at Ryerson University, Toronto, Canada. He works on issues at the intersection of belief and action, and is the Editorial Board Coordinator of the Canadian Journal of Philosophy. Gurpreet Rattan is Associate Professor at the University of Toronto, Canada. His primary interests are in the philosophy of language, mind, and epistemology. His current project attempts to articulate unified accounts of truth, disagreement, and relativism, accounts organized around the semantics and epistemology of the metarepresentation involved in critical reflective thinking and disagreement. His longer term project is on the comparative metaphysics and epistemology of propositions and numbers.